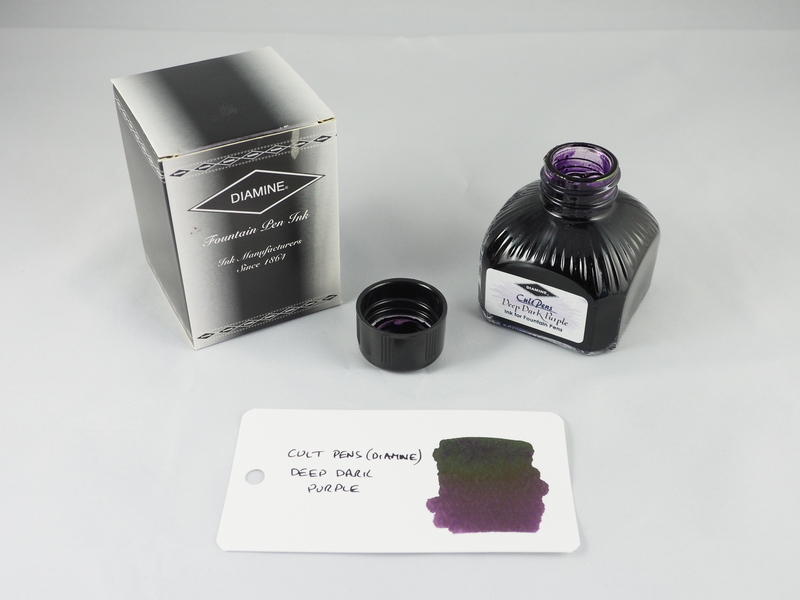 This is the third in this series of ink reviews, for Cult Pens Deep Dark Purple. 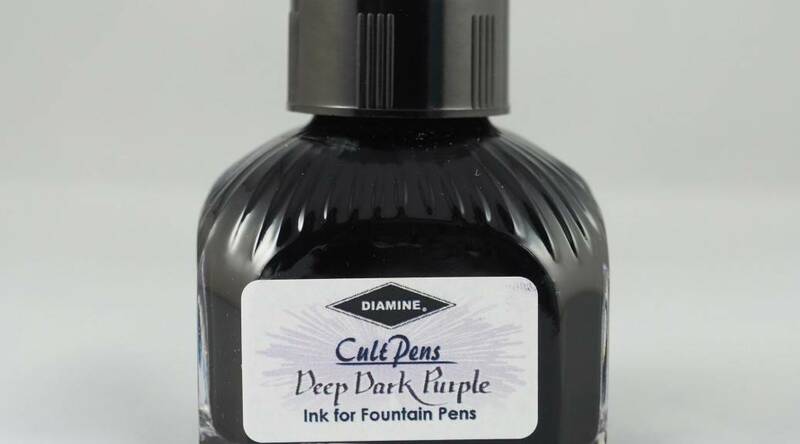 For a description of the bottle and box, please see the review of Diamine Crimson ink and for the Cult Pens variants please the review of Cult Pens Deep Dark Blue ink. In this case there were no labels on the box or the bottle cap. 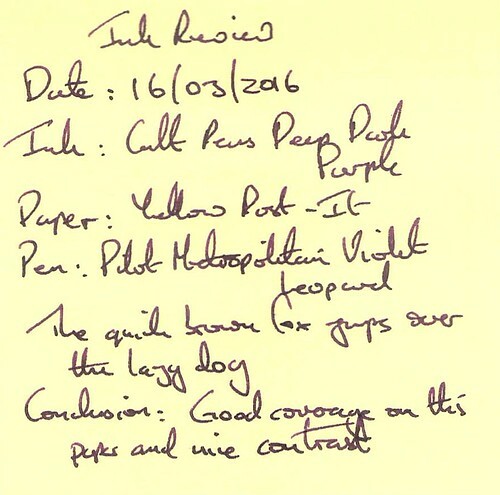 The sole supplier is Cult Pens and the ink is low priced. 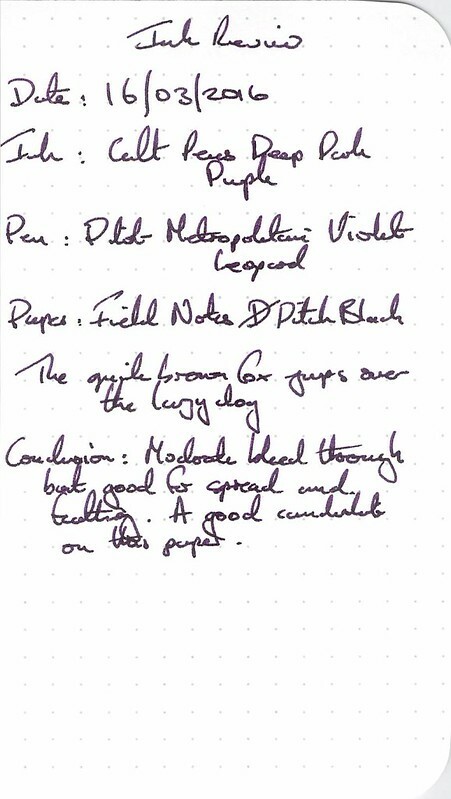 The test pen in this instance was the Pilot Metropolitan Violet Leopard with a medium nib. Water resistance was almost non-existent – only a few faint lines were left under running water and water droplets completely obliterated the lines. 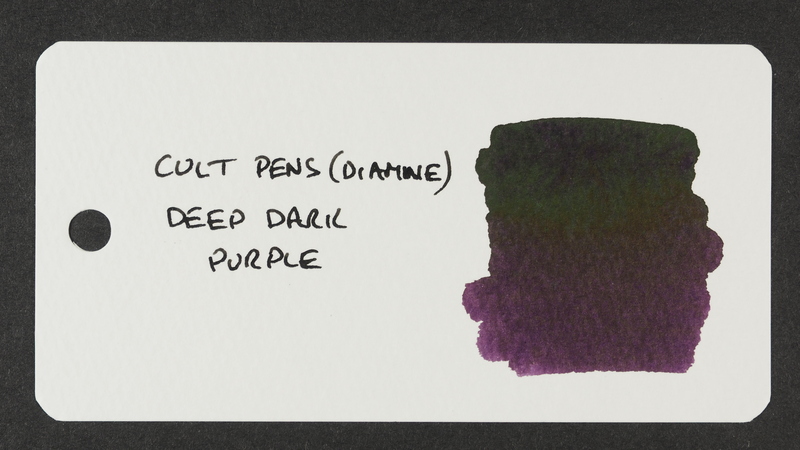 Cleaning was easy and the drying time for Cult Pens Deep Dark Purple was one of the lowest for this series at around 30 seconds. On this paper performance is good and the ink dries to an attractive dark purple, which I described in the notes as aubergine but blackberry or blackcurrant purple would be equally appropriate. 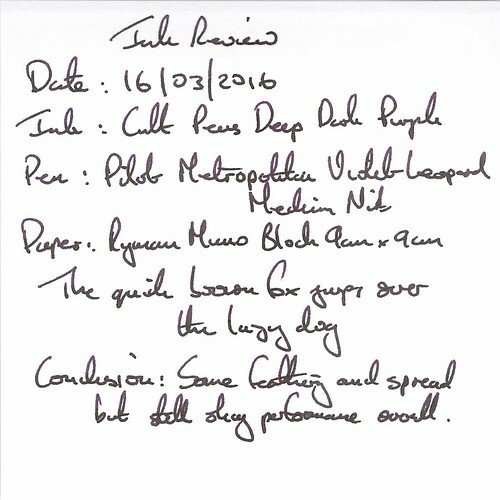 Still okay on this paper and the spread doesn’t dilute the colour much. This paper gives a good contrast and really brings out the purple. 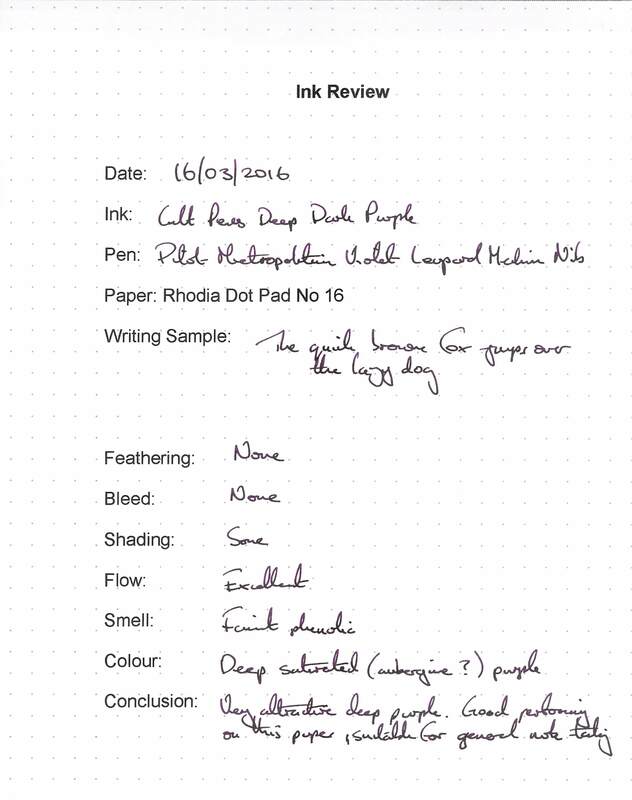 This is a good result on this challenging paper. The shading comes out here, as does a green sheen which is not evident in the writing samples. This is the best overall performer so far in this series on the most challenging papers. I also like the colour, but maybe not as much as Deep Dark Red or Deep Dark Blue. A really good ink.